SAKI KONO is a jazz vocalist, composer, lyricist, and arranger who creates music inspired by her Japanese background and has a love for jazz standards. She may be shy, but she likes to have fun, to experiment with different ideas through arrangements, and to let people experience her musical vision. 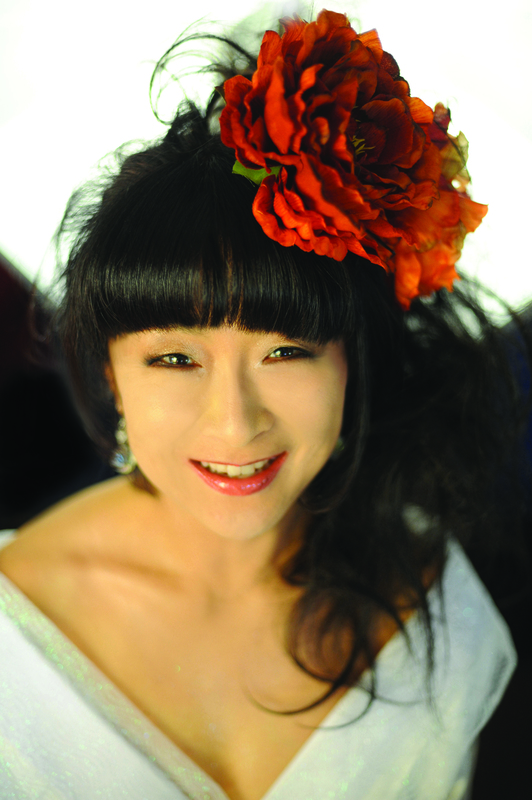 In addition to many classic standards, her repertoire includes pop songs and jazz arrangements of Japanese songs. Born in Kyoto and raised in Tokyo, Saki currently calls the San Francisco Bay Area home. As a child, her father—himself a jazz vocalist in his youth—often listened to jazz artists like Oscar Peterson, Bill Evans, Wes Montgomery, Dinah Washington, Tony Bennett, and Miles Davis, which motivated Saki to study piano. She added guitar to the mix and wrote music through her teenage years, influenced by many genres including soul, rock (especially The Beatles), and Japanese pop songs. She felt that the music took some of the tension out of a hectic life in Tokyo, relieved emotional stress, and helped cultivate her artistic expression. She later moved to the U.S., studying art and music at Laney College in Oakland, California. While a student, Saki had many opportunities to see and hear many legendary jazz artists (many unfortunately now gone). She later enrolled at California Jazz Conservatory in Berkeley, where she studied jazz vocals with Stephanie Crawford and Laurie Antonioli, and jazz piano with Ben Stolorow. These studies proved to be a turning point, providing the inspiration which helped her blossom into a performing artist. As a vocalist, Saki considers her strongest influences to include Sarah Vaughan, Betty Carter, Ella Fitzgerald, Nancy King, Tony Bennett, Mark Murphy, Gregory Porter, Jon Hendricks, Stephanie Crawford, Kurt Elling, Nancy Wilson, Nina Simone, Abbey Lincoln, Irene Kral, Mary Stallings, and Ernestine Anderson. 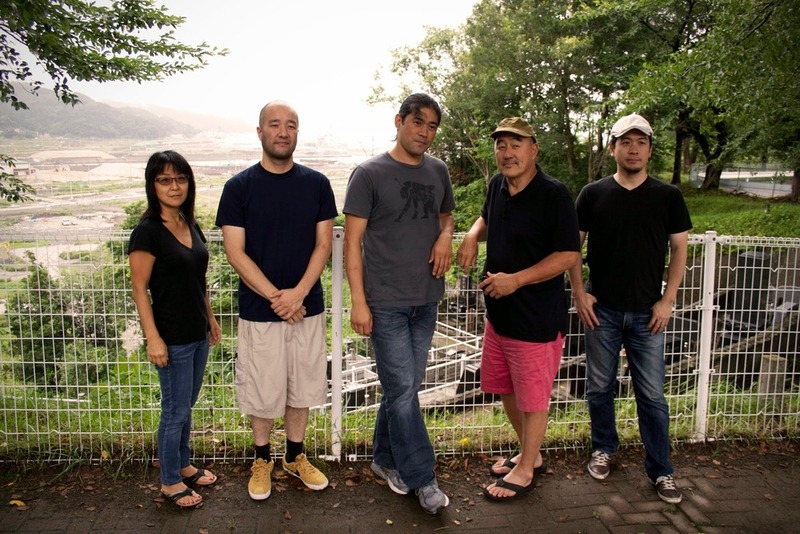 After the disastrous 2011 earthquake and tsunami in Japan’s Tohoku region, Saki began an annual tradition of organizing and performing in charity tours of the region, as a guest vocalist with the group Otonowa (featuring renowned drummer Akira Tana). 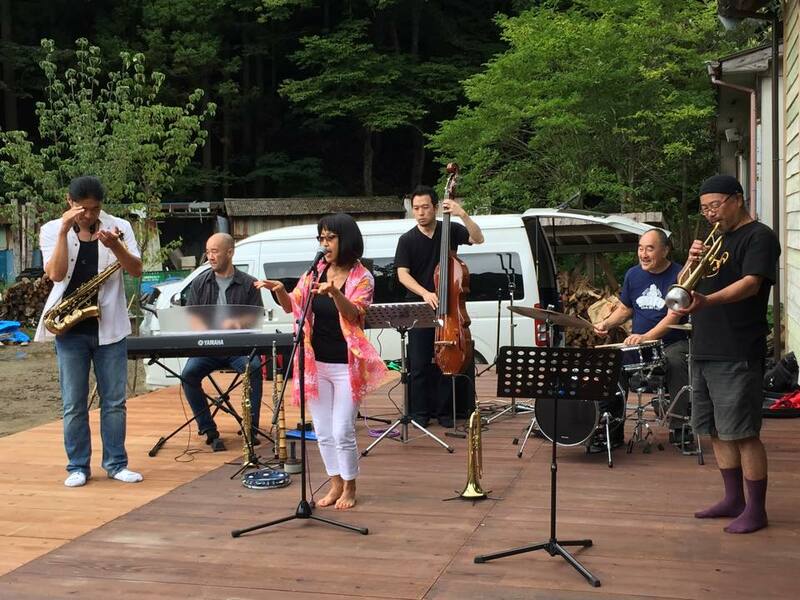 While working with the group, she started enthusiastically crafting jazz arrangements of traditional and popular Japanese songs (which she has included on several of her albums). Saki's debut album, Dream Forever, was recorded in August 2008 at Fantasy Studios in Berkeley, with the rhythm team of Ben Stolorow on piano, Noah Schenker on bass, and Surya Micha Patri on drums. iDream, her second effort, followed in 2013; for this album she was joined once again by Stolorow on piano, plus heavy hitters Akira Tana on drums and bassist Peter Barshay. Her newest album, Dream Passage, featuring Akira Tana and Otonowa, includes many of Saki’s arrangements of Japanese songs, and will be released on June 30, 2016. Saki has performed with many noted musicians in the Bay Area and in Japan, including Ben Stolorow, Bryan Bowman, Surya Micha Patri, Noah Schenker, Ravi Abcarian, Lorenzo Farrell, Lorca Hart, Peter Barshay, Akira Tana, Eric Markowitz, John Wiitala, Vince Lateano, Matt Clark, Alan Hall, Ben Flint, Benny Watson, Sylvia Cuenca, Fujio Honda, Jumbo Ono, Koki Narushige, Manabu Fujii, Ken Kaneko, Natsuko Sugano, Art Hirahara, Ken Okada, Masaru Koga, Sam Grobe-Heintz, Lee Bloom, Robb Fisher, and Tomoko Funaki. She has been a featured artist at a variety of events in the Bay Area, including the San Francisco Cherry Blossom Festival, the Japanese Arts and Cultural Center in San Jose, Ikenobo 311 in San Francisco Japan Town, and the SF Kyoto-kai (at Takara-Sake in Berkeley). She has also performed at venues including Flytrap Studio and Birdland Jazzista in Oakland, the California Jazz Conservatory and Double Tree in Berkeley, the Sausalito Yacht Club, and Saki’s Joint in Richmond. In Japan she has appeared at the Tokyo clubs All of Me, Satin Doll, Softwind, Ginza Mugen, Of Sounds, Rakuya, Sunshine, and Zimajin, as well as Jazz-ya in Osaka, Basin Street in Kobe, and Kamome and Tommy's in Yokohama. She also makes a point of “sitting in” as a guest vocalist as often as possible, and has sung at jam sessions in New York (Smalls, Smoke, and Birdland), the Bay Area (Seven Mile House, the Dog Patch, Café Stritch, Rasselas, Savanna Jazz, Sushi California, KPFA, Piedmont Piano, Cafe Pink House, and Osteria Divino) and in Japan (Someday, Body and Soul, Foreign Correspondent Club, and Miles in Tokyo). The newest album from Saki and her longtime collaborators Akira Tana and Otonowa (featuring Tana, drums; Masaru Koga, saxophones, flute, & shakuhaci; Art Hirahara, piano, organ & synth; and Ken "Noriyuki" Okada, bass), Dream Passage brings together a joyful collection of standards from both sides of the Pacific. For this project Saki has written English lyrics for Japanese classics, and Japanese lyrics for American standards (like Skylark and Stardust). The album also carries a personal message from the musicians—as Saki says in the liner notes, "This album is dedicated to the people whose lives were interrupted by the unimaginable natural disaster of the 2011 Earthquake/Tsunami in Tohoku, Japan... The rebuilding process from the damage is very slow and much work is still in progress, but I have received a lot of energy from those who are working hard towards their future." She adds that "as music has inspired me throughout my life, I hope it gives inspiration, imagination, and courage to others." Jazz vocalist Saki's second album, featuring Ben Stolorow on piano, Akira Tana on drums, and Peter Barshay on bass. Recorded at Fantasy Studios in Berkeley, CA. Featuring Saki's original lyrics on "A Sound Of Rain" and a romping rewrite of the classic "Route 66" as a tribute to her hometown of Kyoto. For information on booking, to join Saki's email list, or to just say hello, please fill out the contact form below. 一緒に演奏したアーティスト：Ben Stolorow, Bryan Bowman, Surya Micha Patri, Noah Schenker, Ravi Abcarian, Lorenzo Farrell, Lorca Hart, Peter Barshay, Akira Tana, Eric Markowitz, John Wiitala, Vince Lateano, Matt Clark, Alan Hall, Ben Flint, Benny Watson, Silvia Cuenca, Fujio Honda, Jumbo Ono, Koki Narushige, Manabu Fujii, Ken Kaneko, Natsuko Sugano, Art Hirahara, Ken Okada, Masaru Koga, Sam Globe-Heintz, Lee Bloom, Rob Fisher, Tomoko Funaki, etc. 過去の演奏活動：SF Cherry Blossom Festival, Japanese Arts and Cultural Center in San Jose, Ikenobo 311 event in SF Japan Town, Kyoto-kai event at Takara-Sake in Berkeley, Flytrap Studio in Oakland, the California Jazz Conservatory in Berkeley, Double Tree in Berkeley, Sausalito Yacht Club in Sausalito, Birdland in Oakland, Saki’s Joint in Richmond, many private events in SF area, All of Me Club in Tokyo, Satin Doll in Tokyo, Softwind in Tokyo, Ginza Mugen in Tokyo, Jazz-ya in Osaka, Basin Street in Kobe, Of Sounds in Tokyo, Zimajin in Tokyo, Kamome in Yokohama, Tommy's in Yokohama, Rakuya in Tokyo, and Sunshine, Tokyo. ゲスト・ボーカル又はジャムセッション参加したクラブ等：Smalls in NY, Smoke in NY, Birdland in NY, Seven Mile House in SF, Dog Patch in SF, Café Stritch in SJ, Raselas in SF, Savanna Jazz in SF, Savanna Jazz in Redwood City, Sushi California in Berkeley, KPFA radio station in Berkeley, Piedmont Piano in Oakland, Pink House in Saratoga, Café Devino in Sausalito, Café Romano in Sausalito, Zingari in SF, Someday in Tokyo, Body and Soul in Tokyo, Foreign Correspondent Club in Tokyo, Zipang in El Cerrito, Miles in Tokyo. 好きなアーティスト：Sarah Vaughn, Betty Carter, Ella Fitzgerald, Nancy King, Tony Bennett, Mark Murphy, Gregory Porter, Jon Hendricks, Stephanie Crawford, Kurt Elling, Nancy Wilson, Nina Simone, Abby Lincoln, Irene Kral, and Mary Stallings, and Ernestine Anderson. All Content ©2016 Saki Kono. Design by Ian Carey.